* My little treat bags are from the Silhouette Online Store (3D Bunny Purse Box). I cut them from some sweet polka dot paper. The outline of the bunny face was cut in white cardstock. Then, I covered them in Glossy Accents and sprinkled on some coarse, crystal glitter. * I used a paper punch for a bit of grass along the bottom. Then colored those fun little Easter Eggs (PK-191) with my Copic Markers and added some clear Stickles. * I added a sweet sentiment from the Peachy Keen Stamps Set PK-193 and that fun little flower from PKSC-15 to the top flap of my box. * A bit of bright, happy ribbon for the handle and it's all done! Super cute treats :) love that peep stamp. Thanks for tge chance to win! Congrats to Dottie! Dottie, please get in touch with me using the "Contact Corner" Tab at the top of my blog. I need your address so I can mail your goodies to you! Thanks to everyone who left such sweet comments -wish I could send a little something to each of you! I always love your visits and encouraging comments! Hope to see you all play along with our challenge at Peachy Keen Stamps this week - have a wonderful weekend! Adorable. Love the colors.. I just purchased this file. Waiting on my Cameo to arrive tomorrow. Super Duper Cute! !Adorable little eggs!Yummy! These are so darn cute!!! So adorable, I love the bunny shape cut out on this !! Your Coloring on you eggs is so beautiful :) I hope you can get out in your yard. Send some of the weather our way, we might be getting up to 16" of snow :( Hope you have a fantastic weekend my friend !! These are adorable! Yay congrats Dottie! omg tanya! total cuteness in these! love the adorable papers and GREAT PKS!! These are so darn cute - love the fabulous papers and how you have dressed them up. Wonderful. TFS and have a great weekend. Tanya ~ OMG too CUTE and PERFECT!!! I just LOVE the little purse and how the bunny is used for the window!! The PKS eggs are ADORBS and PERFCTLY colored! These grandbabies are so going to LOVE Easter!! Have a wonderful weekend and I hope you do get some yard work done ~ apparently the lawn boy ran off with the cleaning fairy?? LOL! These are fabulous Tanya! I love the bunny head cut outs and adorable eggs! That is such a wonderful way to add the sentiments too! SUPER CUTE! Soooo stinkin cute!!! Love the bunny outlines!!! How darn cute!! Love these!!! These are so cute, Tanya. Love the bunny cutouts and those bright colored eggs. These are super cute Tanya!! I love the little rabbit face cut out and the ribbon as a handle! 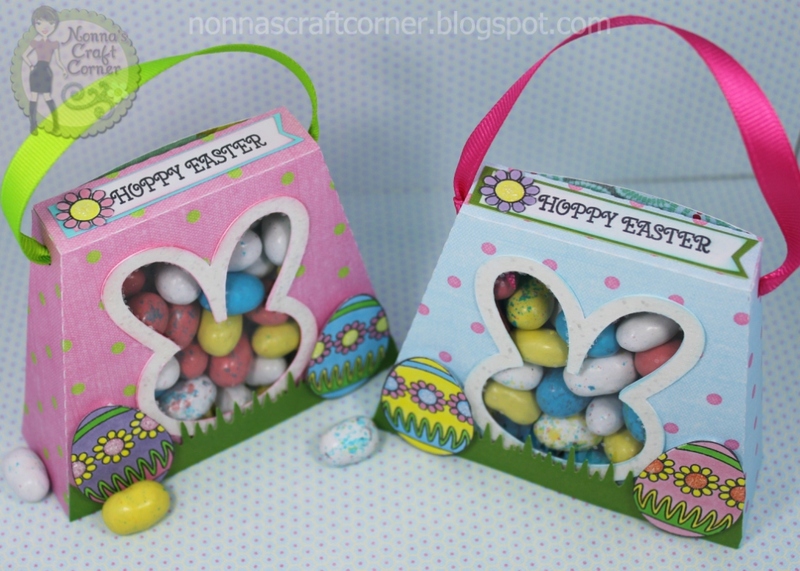 Cute treat boxes, love those pretty eggs!!!!!!! I love your little Easter purses! You do such lovely work! So nice to be on the Peachy team with you! Whoa...these are awesome!!! I love those eggs....yummy! Adorable. Love your little bag of treats. Looks Great. These are adorable boxed. I just saw them in the store and wanted to buy them now I definitely will be buying them!!! Thank you for inspiring!!! Adorable treat boxes, they look so yummy! The bunny cut outs are so cute, love them! 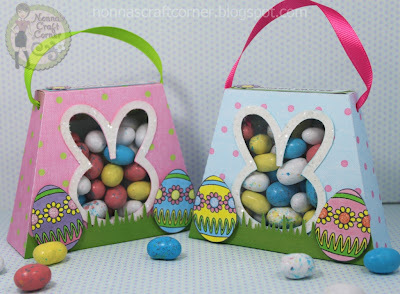 Super adorable Easter treat bags:) Yummy yummy yummy! OMGosh these are just so adorable... I might have to make some!! !